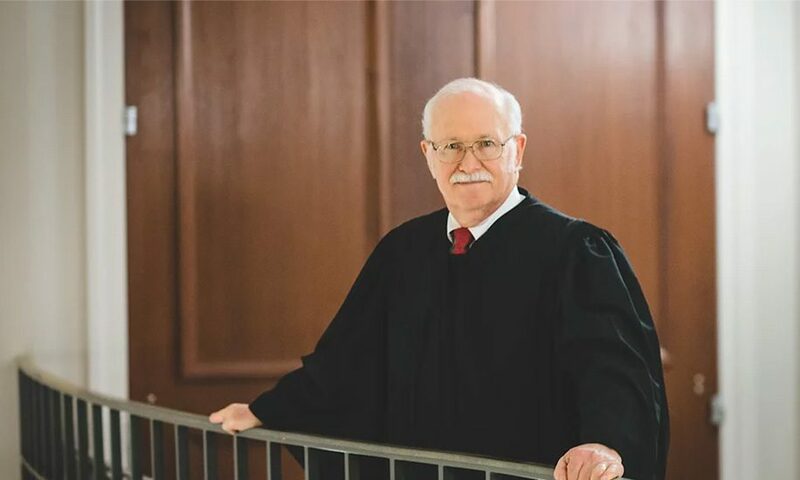 The Alabama Supreme Court investiture will be today in Montgomery at 10 a.m. Justice Tom Parker, a Republican, will be sworn in as the chief justice of the Alabama Supreme Court. The Chief Justice of the Alabama Supreme Court heads both the Supreme Court and the entire Alabama Court System and makes a number of key appointments of attorneys and administrators. Roy Moore had been Chief Justice but was suspended for the remainder of his term. When Moore retired to run for U.S. Senate in 2017, Governor Kay Ivey (R) appointed Associate Justice Lyn Stuart as Chief Justice. Associate Justice Tom Parker ran for the office and defeated Stuart in the 2018 Republican primary. Parker the defeated Jefferson County District Judge Robert Vance Jr. (D) in the general election. Tommy Elias Bryan, Sarah Hicks Stewart and James L. Mitchell will be sworn in as Associate Justices of the Alabama Supreme Court. At 1:30 p.m., the investitures of the Alabama Court of Civil Appeals and the Alabama Court of Criminal Appeals will take place. J. Chris McCool will be sworn in as a Judge on the Alabama Court of Criminal Appeals along with J. William Cole and Richard J. Minor. The Alabama Court of Criminal Appeals hears appeals of criminal cases. Christy O. Edwards and Chad Arthur Hanson will be sworn in as Judges on the Alabama Court of Civil Appeals. The Alabama Court of Civil Appeals hears appeals of civil decision, including both lawsuits as well as family court decisions. If a Court of Criminal Appeals or Court of Civil Appeals decision is appealed it goes to the Alabama Supreme Court. All judicial offices in the Alabama Court System are elected positions. In the federal system, all the judges, including the United States Supreme Court are appointed by the President of the United State for life. Alabama judges are elected and have to face the voters periodically. This is a by invitation only due to space limitations. Alabama Governor Kay Ivey and the other constitutional officers will be sworn in in a public ceremony in front of the state Capital in Montgomery at 10:00 a.m. on Monday. All the state’s appellate courts are held by Republican judges. Every state of Alabama constitutional office is held by Republicans. U.S. Senator Doug Jones, who defeated Judge Moore last year in a special election, is the only Democrat to win any statewide office in the state of Alabama since 2008.